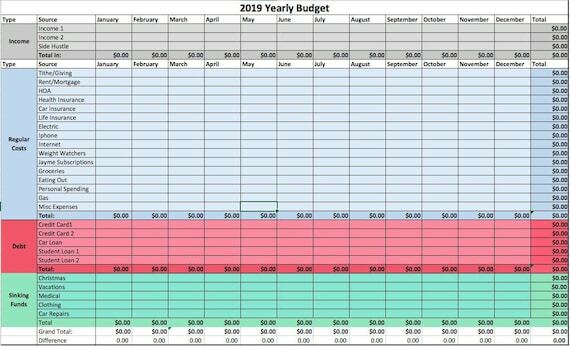 You may have noticed that I wrote in one of my goals for 2019 that I was going to challenge myself to have a No Spend Year. What it should have said was:”Have a no spend on mindless stuff that doesn’t matter and doesn’t help me meet my goal year“. But that was too long. So I shortened it. After spending the last six months decluttering my home while still spending money on stuff that I will probably declutter in 2019, I decided it was time to stop the madness of all of this spending on stuff that doesn’t matter and redirect the funds to things that do matter. This isn’t just about spending, however. It’s about appreciating the things I already have and being grateful for all that has come into my life already. That’s hard to do when I keep bringing more stuff in. My inspiration to attempt this challenge came from a book I read last year. Cait Flanders’ book, The Year of Less, changed my way of thinking. It is a book about her year long shopping ban, how she changed her habits and discovered what truly mattered to her. I continue to read her blog as a source of continued inspiration. *I may have missed something from this list, which I will add later. I anticipate, based on my spending in 2018, that I will be able to save at least 10% more of our income, helping me reach my goal of 40% total savings. It’s amazing how much spending one can do in a year without really thinking about it. I will do monthly updates to keep myself accountable. I’m hopeful that I can and will change my mindless spending habits, not only for 2019 but in the years to come.